There are too many things to be used in 2014 for best results of SEO. I have shared and shortlisted the best SEO tools that can be used for the best results. 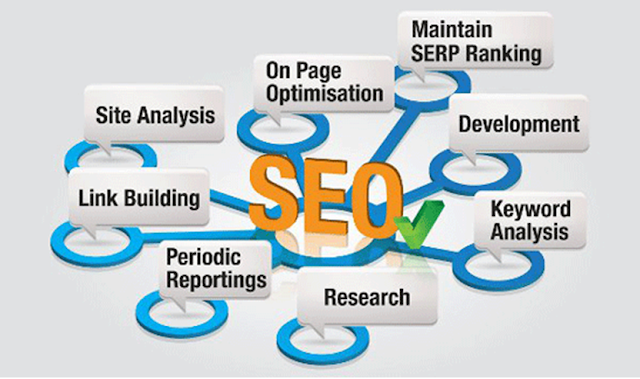 Search Engine Optimization is very much important thing in blogging as we already know. Previously, i have shared some tools of SEO and today, i am going to share some more new stuffs of SEO, these tools are best one and are designed to face the new competition, if you are using the old tools, that's fine but i would suggest you to use these new tools as they can give you positive result in 2014 and these are designed with many more exciting applications and plugins. The tools are mentioned below, with little descriptions regarding the tools, you may visit the site of your favorite tool and can get the complete knowledge related to the tool. SERPS is an excellent tool in term of SEO, it send you the detailed report of your site, even though you are not a company, it gives the best user interface. It gives you premium subscription as well, in which it offer some more and advanced features for the users. You can check this tool out and can experience it by your self. Penguin Tool is Another awesome tool, it is gives you the analytical report of your site, it can be linked with your Google Analytics account to give you the most accurate report of your visitors. It is not as much famous as it should be. It gives you the advanced report of your visitors. Buzz Bundle can be used to monitor your social networking site activities in better and advanced way. It makes you to update your all social accounts very easily. This is Premium desktop software, you can download it, and use it as a trial but for full version, you need to buy it's full version. Viral Content Buzz is a bit new tool but it has too many features that makes him to fit in the list of best. It works on credit system, the more you share the content, the more you shall have credits. You can register their and start using this tool for your self. Radian6 is the best tool. It allow the easy sharing of your content and monitoring of your social networking activities with more advanced ways and apps. You may use this tool as content management tool as well, as you can surf different content and get the ideas from it and you can ask questions and answers will be given by experts. You can tag your content, inorder to organize your content in scientific way. This is a new feature that been added to Google Webmaster Tools, to give you the Author Stats. You can set up your site by looking up this report can surf and learn more after discovering more about it. You can get Aptoide Download for PC link here which I have shared for you to give access to the updated Aptoide app link. That was some most useful SEO Tools that you may use in 2014 for best results, if you want to ask any question regarding this then do ask in comment, i will get back to you as soon as possible, till then keep sharing and liking my content.